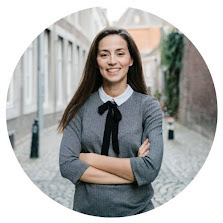 Me, as a proud Portuguese and born in Lisbon, I feel very happy everytime someone tells me they have been to my city and loved it! I just wonder: why did it take them so long to come and visit?! 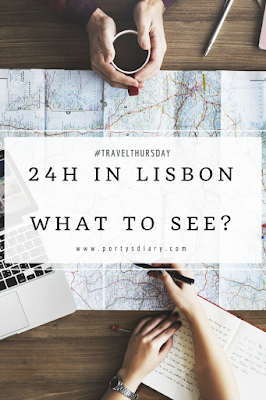 Lisbon has a lot to offer and to see, and even though for me it's not that big, I can imagine that for someone who has never been there it might be the opposite and hard to know "where to start". But let me be honest with you: you won't see all of it in just a weekend! So, for today's post, I thought I'd help you out! 24h in Lisbon: what to see? 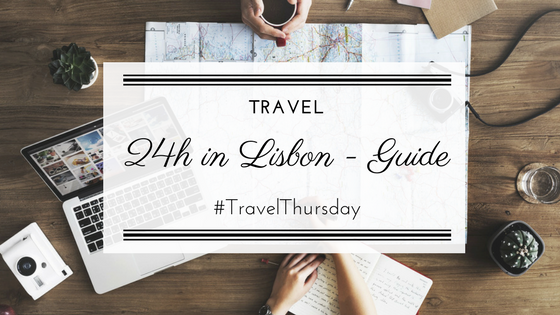 So, you have just arrived at Lisbon airport, got your luggage, and have 1 day to enjoy Lisbon. Where to start? This is what I would do! Take the subway red line, directly from Airport to station "Oriente". Check Lisboa's subway website for more info on that: SUBWAY INFO. Find your way to Parque das Nações and enjoy one of most contemporary parts of town. If you like fishes, or anything Ocean related, make sure to visit the Oceanarium. It's worth it but you need about 2 to 3 hours, I'd say. Time to get back on the subway! Head to "Marquês do Pombal" You will need to switch lines, so check Lisboa's subway website for more info on that: SUBWAY INFO. Welcome to downtown! From here on, it will be quite some walking. The guy in the center of the square, was responsible to rebuild the whole city after it had been seriously destroyed by the 1755 Earthquake followed by a Tsunami. Take a moment to appreciate your surroundings! From Marquês, walk down the Avenida da Liberdade one of the busiest avenues of Europe (I've heard). Along this avenue, you will find many kiosks where you can enjoy some refreshments or a snack. The most expensive shops in town are also located on this avenue. So if you like to spend some Euros, this is the place! There are many nice colorful buildings right next to each other, and theaters. Personally, I like those colorful buildings a lot! If you're in need of a drink or feeling a bit hungry, I totally recommend a stop at the Hard Rock. I know it's not the most Portuguese place to visit, but I really like it there. The staff is amazing and the food... well, you know! Note: If you ever go there during Friday/Saturday night you might be welcomed with a live show or a very nice party! For me, this Hard Rock is the one that blends restaurant/pub the best way! Oh, before you go anywhere, make sure you stop by "Fábrica da Nata" and grab a couple of Pasteis de Nata. Make sure you eat the inside the store; it's lovely there! If you look around, you'll realize that you're in a sort of valley; a lot of Lisbon's neighborhoods are located at higher points that Rossio... So yeah, most ways go up, and that's where we go next! On to Carmo! To get to Carmo, you passed by the famous Santa Justa Lift, and most likely you saw a huuuuuge line of tourists. Guess what? You don't have to wait in line to get to the top. It will require more effort from you, as you'll have to walk up the hill... Several times! Anyway, once you arrive at Carmo, you'll see the ruins of the Carmo Convent, which was massively destroyed by the 1755 Earthquake, like I mentioned previously. I think it's worth the visit. Once you're finished, walk towards the Santa Justa viewpoint (the top of the Lift). You'll need a ticket (1.5Eur) but it's totally worth it; the view of the city is quite something... I love it here! Walk back to Chiado, and say hi to Fernando Pessoa's statue, before heating to Largo Camões. If you feel like taking a break, go to "a Padaria", across the square, ask for a Pastel de Nata (possibly my favorites!) to go and sit by the Camões statue. Your legs & feet might appreciate a rest by now. The good news: from this point on is always down the hill! Head back to Chiado via Rua Garret, from there take the stairs next to the mall "Armazéns do Chiado", take Rua da Vitória until you find the intersection with Rua Augusta. Once you make it to Rua Augusta, you're officially at what we call Baixa. Not just this street but more this neighborhood. Here there are tons of street attractions, which you should take the time to enjoy. Walk towards the river and you'll find the Rua Augusta Arch. If you want, you can take an elevator and visit it from the top; totally recommend it especially if the sunset is approaching. Take your time to appreciate this square, while you give your legs a rest and grab a drink&snack at the many pubs/restaurants in this square. Walk along the river, via Ribeira das Naus while enjoying the sunset. Once you arrive at Cais do Sodré, it might be time to grab something for dinner, so I'd suggest to go to Mercado da Ribeira and take advantage of this food-court concept. The options are endless! And that's it! From here, you can either to decide to stay a little longer (which I'd totally recommend) or hop back in the subway towards the airport. Either way, I hope this guide will be useful! You might see me doing this a few times. I've always wanted to go to Lisbon! It looks so beautiful. I'm going to have a look at flights today for a little long weekend getaway! I hope you find nice flights because once you get to Lisbon, you'll love it!